…and so the meeting ends, with the Big Tough Leader walking off pleased with him/herself and the Project Manager having the unenviable task of trying to explain to the troops and keep them motivated…all of which will take further time (which could have been spent delivering value). The leader is attempting to ‘manage by fear’ and thinks that their clever ‘stretch-target’ will motivate (!) the workers. Further, it shows that the leader doesn’t trust his/her people and thinks they are lazy, that they are holding effort back and need a carrot/ stick management approach. So, what actually happens when unrealistic target dates are set? much wasted effort is spent after ‘go-live’ coping with the semi-complete outcome and the customer fallout. 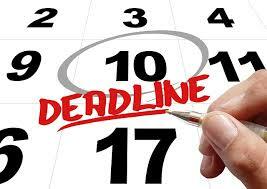 Okay, so you hit a published target deadline…big deal! What matters is what was actually achieved in respect of the purpose of the value stream being affected. Is the value stream more or less capable in the eyes of the customer? Now, obviously any roll out needs to know a date to be able to plan its implementation, BUT we should be trying to delay the setting of this date as long as possible in the work so that we have the most certainty as to what it will actually be – a ‘just in time’ mentality rather than a ‘hook to hang people on’. to thinking that setting target conditions* is the right thing to do, and then providing an environment in which everyone works to achieve this as effectively as possible. * A reminder: a target condition is a description of the desired future state (how a process should operate, the intended normal pattern of operation). It is NOT a numerical activity target or deadline. Do you use target dates as a ‘management by fear’ tool to ‘make people comply’?! Hi Charles. I’m interested in watching…but unfortunately this link doesn’t work (at least not for me). Cheers.